The ARRL has formally complained to the FCC that a "grow light" ballast being widely marketed and sold is responsible for severe interference to the MF and HF bands. The League urged Commission action to halt sales of the Lumatek LK-1000 electronic ballast and to recall devices already on store shelves or in the hands of consumers. In a March 12 letter, ARRL General Counsel Chris Imlay, W3KD, told the FCC Enforcement Bureau and its Office of Engineering and Technology (OET) that, during ARRL Laboratory testing, the Lumatek device exhibited conducted emissions that exceeded FCC rules. 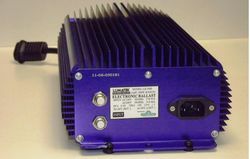 The Lumatek LK-1000 electronic ballast. "ARRL has received numerous complaints from Amateur Radio operators of significant noise in the medium and high frequency bands between 1.8 MHz and 30 MHz from 'grow lights' and other RF lighting devices generally," Imlay said in the complaint. "The level of conducted emissions from this device is so high that, as a practical matter, one RF ballast operated in a residential environment would create preclusive interference to Amateur Radio HF communications throughout entire neighborhoods." An extensive Conducted Emissions Test Report detailing the ARRL Lab's test results was attached to the League's correspondence. "[T]he Report concludes from the conducted emissions tests that the six highest emissions from the device in the HF band vastly exceed the quasi-peak limit specified in Section 18.307(c) of the Rules," Imlay told the FCC. The ARRL further pointed out that, while an FCC sticker had been affixed to the device, it lacked FCC compliance information. FCC Part 18 rules require RF lighting devices to provide an advisory statement with such a device, notifying users that it could interfere with radio equipment operating between 0.45 MHz and 30 MHz. The League noted that the device is imported into the US and marketed and sold by Sears, where ARRL purchased its test sample, as well as by Amazon.com and other retail outlets. The ARRL also called on the FCC to consider enforcement proceedings against the importer, Hydrofarm Horticultural Products of Petaluma, California. Read more. As part of a Consent Decree ending an enforcement action against him, a Cocoa, Florida, radio amateur has agreed to give up his Advanced class Amateur Radio license. Terry L. Van Volkenburg, KC5RF, also has agreed to make a $1000 "voluntary donation" to the US Treasury, in installments, and waive all rights to contest the validity of the Consent Decree, released March 19. In turn, the FCC is terminating a 2012 enforcement proceeding against him involving unlicensed transmissions that interfered with a sheriff's department radio system. On March 1, 2013, the FCC found Van Volkenburg liable for a $25,000 forfeiture, which the Commission subsequently determined he would be unable to pay. The Enforcement Bureau also agreed not to institute any new proceeding on the basis of the one just concluded. The Commission said it was entering into the agreement and terminating the enforcement proceeding in part, "to avoid further expenditure of public resources." The FCC investigation began in September 2012 in response to an interference complaint filed by the Brevard County Sheriff's Department. The Enforcement Bureau subsequently determined that Van Volkenburg transmitted on 465.300 MHz without a license, interfering with the radio system in the county jail. In settling the enforcement action, Van Volkenburg "admits, solely for the purpose of this Consent Decree and for Commission civil enforcement purposes" that the radio transmissions he made on 465.300 MHz sparking the investigation violated the Communications Act. 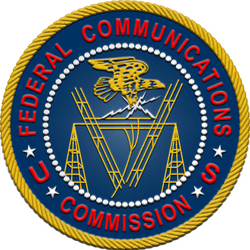 The FCC has invited public comment on a Petition for Rule Making (RM-11715) that would make a significant portion of the 10.0 to 10.5 GHz band available for wireless broadband services. The Petition by Mimosa Networks Inc proposed a band plan for 10.0 to 10.5 GHz that, it said, would protect frequencies most often used by radio amateurs. The petition hinges on FCC adoption of rule changes that would put the 10 GHz band under Subpart Z of the Commission's Part 90 rules. Subpart Z currently sets out regulations governing wireless licensing, technical standards, and operational standards in the 3650 to 3700 MHz band. "[T]he application of the coordination procedures and requirements provided in Subpart Z will ensure that Amateur Radio operations in the band will not be disrupted," Mimosa told the FCC. "In addition, as a further safeguard, Mimosa proposed a band plan for the 10.0-10.5 GHz band that would protect frequencies in the band that are most often used by Amateur Radio operators." The proposed band plan would specify 10.350 to 10.370 GHz as an "Amateur Calling Band," and 10.450 to 10.500 GHz for Amateur-Satellite operations in the midst of 21 wireless broadband channels and a small guard band. Mimosa has proposed to include in the rules a requirement for wireless broadband service operation in the band "to avoid harmful interference with Amateur service and Amateur-Satellite service operations in the band." Mimosa contended that its proposal would "promote the Commission's goal of providing broadband access to all Americans, would benefit wireless Internet service providers, mobile wireless carriers, and telecommunications equipment providers, and would benefit the national economy." Mimosa cited the band's "long-reach, high-capacity characteristics" and called 10 GHz "a promising candidate for wireless broadband." ARRL Chief Executive Officer David Sumner, K1ZZ, said that while the League appreciates Mimosa's efforts to acknowledge existing and growing 10 GHz Amateur Radio activity, several aspects of the petition are of concern. "Use of the band for fixed or mobile wireless broadband would be contrary to the international Table of Frequency Allocations and would inject a new sharing consideration that is not contemplated in the preparatory work being done for World Radiocommunication Conference 2015 (WRC-15)," he said. "Mimosa's proposed power limit of 55 dBW EIRP is very high, particularly for point-to-multipoint operations, and no mechanism has been proposed for ensuring that harmful interference to amateur operations does not occur." Sumner said that while the ARRL has not yet adopted a position with respect to the petition, "some aspects of the petition require careful study." Interested parties may comment on RM-11715 using the FCC's Electronic Comment Filing System (ECFS). Read more. 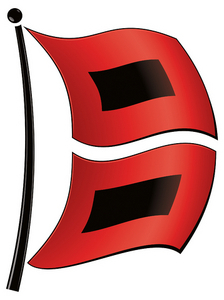 Amateur Radio's role in responding to weather emergencies will be prominent during the National Hurricane Conference April 14-17 in Orlando, Florida. The conference theme is "Improving Hurricane Preparedness." ARRL Emergency Preparedness Manager Mike Corey, KI1U, will represent League Headquarters at the event. All ham radio sessions are free. ARRL Southeastern Division Director Doug Rehman, K4AC, called the conference "a great opportunity for Amateur Radio. "The National Hurricane Conference leadership continues to recognize the valuable contribution of the Amateur Radio Emergency Service and again invited us to participate with three sessions," said Rehman, who plans to attend the conference. "We encourage you to visit and participate in all the activities you can and learn more about Amateur Radio Emergency Service communication." All three Amateur Radio-oriented sessions will take place Tuesday, April 15. NHC Session #2 -- 1:30 PM to 3 PM: Emergency communication operations in the Orlando area; the 2013 Boston Marathon disaster, and two different views on Hurricane Sandy. NHC Session #3 -- 3:30 PM to 5 PM: The operations of the Hurricane Watch Net (HWN) and the VoIP Hurricane Net, together with an ARRL update and introduction of ARRL's new Southeastern Division Director, followed by an Amateur Radio "rap" session -- the Emergency Manager's "Hidden Resource." Amateur Radio presentations will be recorded and streamed live on the National Hurricane Conference and VoIPWX websites by James Palmer, KB1KQW. Door prizes will be awarded. Register online or via fax. Read more. Former NASA astronaut Linda Godwin, N5RAX, was on hand March 5 as youngsters at Rock Bridge Elementary School in Columbia, Missouri, spoke with NASA astronaut Mike Hopkins, KF5LJG, aboard the International Space Station (ISS). 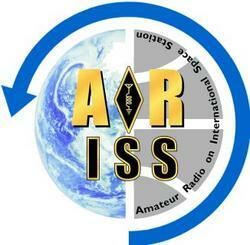 The Amateur Radio on the International Space Station (ARISS) program sponsored the contact. Hopkins, a native of Missouri who returned to Earth on March 10, was at the helm of NA1SS on the space station. On the ground, members of the Central Missouri Radio Association (CMRA), managed the technical aspects of bridging the gap between school and spacecraft. Once the contact got underway shortly before 8 AM, 13 pupils chosen through a random drawing each asked Hopkins two questions chosen from a prepared list. "It's great to be talking with folks in my home state of Missouri," Hopkins greeted the gathering as contact was made and signal reports exchanged. Youngsters peppered him with questions on a wide array of space travel topics. "Zero gravity feels awesome!" he told the kids, although he conceded that it was "weird" at first. He said that viewing Earth from space was "humbling" as well as "incredible to see." He also explained some of the negative impact that living in microgravity can have on the human body over time, and he said that prior to going into space, the astronauts get to try and rate all food items on a scale of 1 to 10. "The students understood that the ISS would be in range for less than 10 minutes," said the CMRA's Bill McFarland, N0AXZ, who played "the astronaut" during a pre-contact practice session. Also helping with the contact were club members Don Moore, KM0R -- who loaned his call sign to the enterprise and served as control operator -- Myron Kern, W0ZH, and Justin Yesis, KL0VU. They had been preparing for the event over the previous 6 months and provided the radio gear, rotators, antennas, mounting equipment, computers, and tracking software, as well as everything in between. The club also worked with NASA. Audio of the contact was piped into the school's public address system, so that the entire school could listen in on the 55 minute educational program built around the Amateur Radio contact. Spearheading the entire project was Loretta Schouten, president of the Rock Bridge Elementary School's PTA. "She had the idea, presented the request to the CMRA, attended many of our club meetings, and coordinated everything from the school to NASA applications and documentation, local officials and the media," McFarland said. "And she is now studying for her Tech license!" The contact attracted coverage by the Columbia Daily Tribune newspaper. ARISS lets students worldwide experience the excitement of talking directly with crew members of the International Space Station, inspiring their interest in science, technology, engineering, and math, and engaging them with radio science and technology. Contact ARRL ARISS Program Manager Debra Johnson, K1DMJ, if your school, local museum or other educational organization is interested in participating in a scheduled ARISS contact during the fall 2014/spring 2015 period. An educational plan describing the learning activities to be provided for the students leading up to and following the contact is necessary. There is more information about the ARISS program on the ARRL website. The ARRL has announced a "Centennial Station Giveaway" as part of its National Centennial Convention to be held in Hartford, Connecticut, July 17-19, 2014. Sponsored by the ARRL and R&L Electronics , the winner will receive a Grand Prize voucher worth up to $5000 of equipment -- radio, antenna, and accessories -- redeemable for products sold by R&L Electronics. All paid convention registrants will be entered in the $5000 Grand Prize drawing (door prize). One name will be drawn from among eligible registrants at the end of the convention on Saturday, July 19, 2014. The winner does not need to be present during the drawing. Three-day convention tickets are $75 and include an all-day training workshop and lunch on Thursday. Two-day tickets are $25 ($30 at the door), good for admission on Friday and Saturday. Everyone who attends the convention must register, and online registration in advance of arrival is available. The ARRL Centennial "W1AW WAS" operations that are taking place throughout 2014 from each of the 50 states now are in Tennessee (W1AW/4), New Mexico (W1AW/5), and Guam (W1AW/KH2). They will relocate at 0000 UTC on Wednesday, March 26 (the evening of March 25 in US time zones) to Iowa (W1AW/0) and Vermont (W1AW/1). During 2014 W1AW will be on the air from every state (at least twice) and most US territories, and it will be easy to work all states solely by contacting W1AW portable operations. In conjunction with the 100th anniversary of the ARRL, the ARRL Centennial QSO Party kicked off January 1 for a year-long operating event in which participants can accumulate points and win awards. The Centennial QSO Party consists of two main activities: W1AW portable operations and the Centennial Points Challenge -- the accumulation of points from qualifying contacts. To have a score listed online in the Points Challenge competition, logs must be submitted through Logbook of the World (LoTW). The event is open to all, although only ARRL members and appointees, elected officials, HQ staff and W1AW are worth ARRL Centennial QSO Party points. Working W1AW/x from each state is worth 5 points per contact. To earn the "Worked all States with W1AW Award," work W1AW operating portable from all 50 states. (For award credit, participants must work W1AW/1 in Connecticut.) A W1AW WAS certificate and plaque will be available (pricing not yet available). 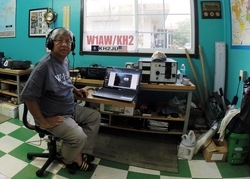 Danny, KH2JU, operating W1AW/KH2 from Guam -- on the air until March 26 UTC. As of March 19, the W1AW stations have reported making more than 600,000 contacts with more than 70,000 different call signs. For the Centennial Points Challenge, based on uploads from these stations to LoTW, more than 5000 stations have achieved 1000 points, while 400 stations have reached the 10,000 point mark, 104 have 20,000 points, 49 have racked up 30,000 points, 15 stations have earned 40,000 points, eight stations (only one a single-operator, N2NL) have 50,000 points, and just one station has reached the 100,000 point mark. Michigan radio amateur Dirk Esterline, KG8JK, is promoting participation in a Civilian Conservation Corps (CCC) Special Event this summer to honor the contributions of the Depression-era government-sponsored work program, and he hopes to make it an annual event. The CCC came into being in the spring of 1933, during the first term of President Franklin Roosevelt, as one of several economic relief programs during the Great Depression of the 1930s. CCC camps often were established in woodland areas, because the CCC was specifically tasked with environmental conservation. "We want to honor the contribution that 'The Boys' of the Corps made to our country and to our natural environment," said Esterline. "As radio played a big part in how the camps communicated with each other, we would encourage you to activate the actual location of one of the camps." The special event will take place the weekend of August 9-10. If an actual CCC site is not available, he pointed out, many state and local parks have buildings constructed by the CCC that might make suitable sites. "Our goal is to make contacts between as many of the camps as possible, and to contact as many Amateur Radio operators as possible," Esterline said. He asks anyone interested in participating to contact him. 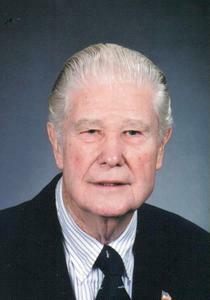 Charles E. Dewey Jr, W0CD, of Battle Creek, Michigan, died March 16, at home. He was 96. Dewey, George Guerin, K8GG, and George Taft, W8UVZ, designed the "Battle Creek Special" antenna, popular with DXpeditioners. 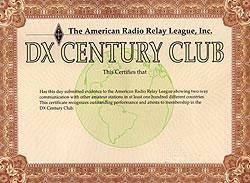 An ARRL Life Member, Dewey was a major 160 meter DXer, with 297 DXCC entities confirmed on Top Band (and an overall DXCC total of 367 -- 339 current -- needing only North Korea). The Jefferson City, Missouri, native was first licensed as a teenager as W9LBM. He became interested in 160 meters in the 1970s, shunt feeding his 72 foot tower and laying down more than a mile of radials to work it against. He became a mentor to other Top Banders and, drawing upon his broadcast antenna expertise, designed various arrays for 160 meters. He subsequently came up with an improved Battle Creek Special that was stronger, taller, and easier to erect and eventually developed a heavy-duty model that could handle high winds. One very important, but lesser-known, advance in weaponry developed during World War II was the proximity fuze. Its cover name during the war years was the "variable time fuze" or VT fuze. 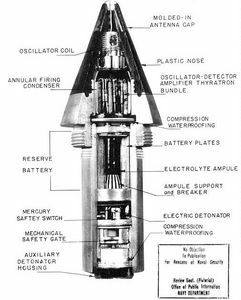 Many of the engineers who developed the fuze were hams whom I knew during the post-war years, when I worked at the Applied Physics Laboratory of Johns Hopkins University. The following comments are from my conversations with two APL hams who played significant roles in the development of the VT fuze -- Lorry Fraser, W3LMZ, and Ralph Robinson, W5FDF. When WW II began, anti-aircraft artillery fire was a game of chance. Rounds seldom made direct hits on aircraft. Modern aircraft of that day had a great advantage over the defense provided by AAA. The Navy needed a fuze that would detonate when it was close enough to attacking aircraft to cause major damage. Enter the VT fuze. The concept of the VT was simple: Build a range-only radar small enough to fit inside the fuze of a 5 inch naval gun, and make it rugged enough to be fired from that gun. But it had to be done with components available in the early 1940s. A cutaway view of a Variable Time Fuze. APL found that ruggedized hearing aid vacuum tubes could be fired from a 5 inch Navy gun and survive. They designed a radar employing those tubes, which would detect the Doppler shift of the signal reflected from a target, determine when the shell was nearest the target, and trigger the explosive charge. Powering the VT fuze was a wet-cell battery without its electrolyte. When the round was fired, G forces would break an ampule of electrolyte, flooding the battery, and bringing it and the electronics to life. After many months of development, tests, and trials, the VT fuze was ready for deployment. Robinson received a direct Navy commission, so he could deliver and put into action the first batch of fuzes. The Crosley Corporation was then chosen to manufacture VT fuzes on a production-line basis. VT fuzes had tipped the balance of power from attacking enemy aircraft to the Navy gunners, just in time. ARRL Seeks Principal Software Engineer: The ARRL is seeking an experienced software engineer who can work independently, as part of a small development team and with contractor teams, to design and develop database applications and interfaces to external services and systems. The position will be the primary software engineer for the Logbook of The World (LoTW) system. Candidates must possess strong C++ programming skills on Linux/Unix platforms, as well as experience in all phases of project management, from architecture to production system release. For more information and for instructions on completing and submitting an application, visit the ARRL Employment Opportunities web page. NEAR-Fest Issues Matching Fund Challenge: For a limited time, NEAR-Fest -- the New England Amateur Radio Festival -- will match contributions to the ARRL Spectrum Defense Fund. Gifts to this fund in NEAR-Fest's name will be doubled through the NEAR-Fest Challenge. The Spectrum Defense Fund provides resources to help ARRL protect our Amateur Radio spectrum. To have your gift matched, donate online and put "NEAR-Fest Challenge" in the "Additional Comments" box. For more information on the ARRL Spectrum Defense Fund, visit the ARRL Spectrum Defense Fund web page or contact Lauren Clarke, KB1YDD, at ARRL Headquarters, (860) 594-0348. NEAR-Fest XV takes place May 2-3 in Deerfield, New Hampshire. California's TCARES Uses APRS to Track Race Participants: Members of the Tuolumne County Amateur Radio & Electronics Society (TCARES) assisted with the Jamestown, California, 2 mile and 10K (6.2 mile) events on March 15. "We used APRS to track the last runners to keep the race officials informed of their status," said Carl Croci, NI6Z. "This method worked well, and we are going to use it for the OLE Mill Run scheduled for April 19, around and in the Gold Rush Community of Columbia State Park." Tony Emanuele, WA8RJF, Named CQ VHF Editor Tony Emanuele, WA8RJF, of Painesville, Ohio, has been named VHF Editor of CQ Amateur Radio magazine. He succeeds Joe Lynch, N6CL, who stepped down after 22 years. Lynch's final column will appear in the March/April 2014 issue of CQ. Emanuele's first "VHF Plus" column will appear in the June issue. A ham for nearly 50 years, Emanuele has been active on VHF and above for the past 30 years, enjoys building equipment, and has operated on all bands from 6 meters to 47 GHz. His overarching goal for the column, he said, will be to "help promote activity on 2 meters and above." Emanuele is a sales engineer/sales manager for a specialty LCD company. Tad Cook, K7RA, Seattle, Washington, reports: The vernal equinox is today! Both Northern and Southern hemispheres are bathed in an equal amount of solar radiation on March 20, as the sun is shining directly on the equator. This is a good season for HF propagation. Average daily sunspot numbers decreased again this week -- from 138.7 to 129 on March 13-19, as compared to the previous 7 days. Average daily solar flux went from 149.7 to 141.4. The latest 45 day forecast shows solar flux at 150 on March 20, 145 on March 21-22, 140 on March 23-24, 135 on March 25-26, then 145, 155 and 160 on March 27-29, 165 on March 30-31, 160 on April 1-2, 155 on April 3, and 150 on April 4-7. Flux values then dip to a low of 135 on April 12-16, and then rise to 165 on April 26-27. Predicted planetary A index is 5 on March 20-23, 8 on March 24, 5 on March 25-29, 8 on March 30 through April 1, 5 on April 2-8, 10 on April 9, 5 on April 10-12, 8 on April 13-14, and 5 on April 15-25. The entire 45 day flux forecast took a big jump on March 17. 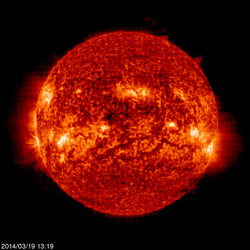 On March 16 the average solar flux for April was predicted to be 122.3. On March 17 and every day since, the average solar flux for April was predicted to be 149.8, an increase of more than 22 percent. In tomorrow's bulletin look for an updated forecast, reports from readers, and scary news about a huge solar outburst in July 2012 that was similar to the infamous Carrington Event in 1859. The 2012 blast was aimed away from Earth, although it still crossed Earth's orbital path.